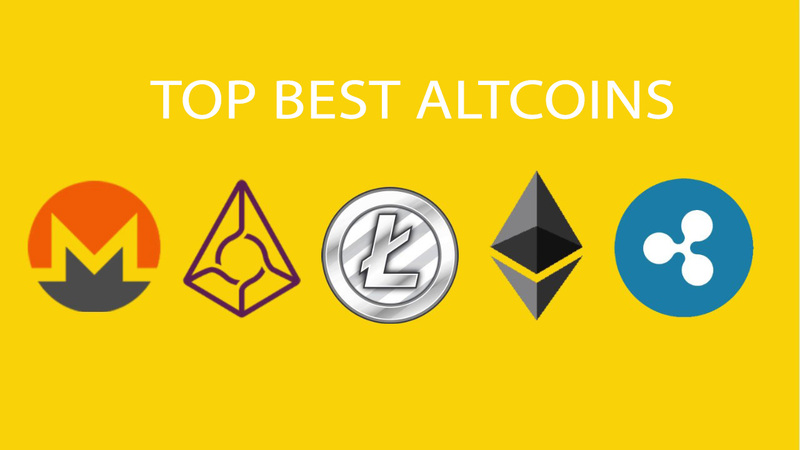 Before we begin, for the sake of some of our viewers here who might be perplexed about the term, altcoin and other akin terms, let’s briefly redefine this concept before discussing the best altcoins. Basically, altcoin is a designate for ‘alternative to Bitcoin‘ which is also a form of digital cryptocurrency (just like the Bitcoin). It is a quite different from the radical concepts portrayed by that of a Bitcoin because it follows a peculiar standard paradigm or actually initiates and develops a typical concept in cryptocurrency. However, most prevalent altcoins tend to undergo similar fundamental building blocks like the Bitcoin itself. This is merely due to a way of attaining the simple approach rendered free by the open source platform on Bitcoin. Also, altcoins are said to depict a healthy competition with Bitcoin because, in one way or the other, they intend to improve, enhance or replace various components offered by Bitcoin. Nonetheless, many altcoin critics feel that to an extent, altcoins are somewhat irrelevant to cryptocurrency, especially since Bitcoins facilitate optimal services in this field already. For starters, you need to be much acquainted based on the altcoin’s project protocols and predominance (if necessary). You will also have to consider its concept, paradigms and potential so as to suit, say, your investment processes. You can start by reviewing the Coin Market Cap since it depicts the price, circulating supply and relative volume- the Market Cap is the product of the circulating supply (the best estimate of the number of coins involved in circulation in the market) and the price. The volume, however, is the amount of dollar based on a crypto traded during a specific period. Try to also look at the relative features that the altcoin offers particularly- what solution does it covey? What significant value does it add? Or what are the rate of validity and the credentials deemed by the team behind the scheme? Lastly, I infer you observe the charts and search for critical comments about the altcoin just to be certain its system goes with what you’re looking for. In addition, below is an evaluated content list of some top and ideal altcoins today! The Ethereum platform offers a methodology that chiefly decentralizes applications on its blockchain. These applications tend to function precisely as facilitated in order to have zero traces of third party interference, sources of dilatory activities or counterfeit of any kind. With the highly developed blockchain(for conveying values and property ownership), the smart wallet enables one to use the ether and related crypto-assets with full security and engage in deploying processes, as well as smart contracts. Litecoin is a decentralized cryptocurrency that uses a peer-to-peer infrastructure and open-source blockchain protocol to enhance protected transaction processes on its platform. Its key improvement (when compared to bitcoin) is its short time interval when generating blocks. Consequently, it offers a greater volume of transactions due to its rapid block generation. This is an altcoin cryptocurrency that is peculiar to its high protection services that include privacy of transactions even without cognition on cryptography. The payments involved are published on the platform’s blockchain. However, the core processes of the transaction are kept confidential all through- this is a system used to depict its transparency in subsequent transactions. It is a cryptocurrency (conspicuously similar to Bitcoin) that enables an aspect of digital currency as well as open payment network within which a particular currency can be transferred. It mainly specializes in developing its approach to decentralized digital currency and optimizing monetary transaction flow. It also offers secure activities such as prevention of counterfeit coins and intervention of third-party software. The Siacoin (aka Sia) is a prominent altcoin that tends to raise and enhance the blockchain technology so as to employ flexible distribution of networks in reaching consensus with optimal security. It ensures that there is no form of interference within the platform by third-party software with the aid of its cryptographically protected contracts. It also facilitates faster and cheaper cloud storage platform as its key function. This is a formidable and exclusively flexible altcoin cryptocurrency platform for blockchain development, specifically created for financial services and relative transaction processes for various organizations that want to carry out and develop certain activities on the blockchain. Its services make it easy for developing blockchain applications and speeds up the development lifecycle for projects tested on the blockchain. All these processes for testing, deploying or developing are performed with free security guarantee as well. It is basically, a decentralized crypto-platform used to create, join or manage certain projects. WINGS offers the capability to share rewards, that is, the token holders can forecast on various projects and also be eligible to obtain tokens offered by future campaigns. TransparencyDAO ownership is fully protected by smart contracts and blockchain technologies. Thus, the WINGS platform’s open source facility is based on secured public ledgers around. This is a blockchain service platform that employs one to maximize and utilize the blockchain technology with the aid of childblockchains. Slightly different from bitcoin, all coins are said to come from NXT (a cryptocurrency with program code) initially. It seems to have also added a feature recently which is known as, Testnet, and is available to all individuals or organizations. The key is to enable users to test all kinds of features from Ardor’s platform so that its development team can work and improve its crypto-database to be more efficient to the users. Golem is another powerful altcoin cryptocurrency that has become significantly valuable as a digital currency platform and relative popularity. It genuinely intends to develop its global network and extend its facility as an open sourced platform. Also, it renders intensive cryptography projects to maximize its efficiency. The last, but maybe not the least is this altcoin, Gnosis, a decentralized cryptocurrency that is actually based on the Ethereum Protocol which mainly focuses primarily on forecast trade and marketing. The team behind the platform have modified an online crypto-platform to allow the provision of steady information based on the results of events within the network- the better the exchange of information, the greater the chances of boosting business. This is also the apt cryptocurrency mostly used by individuals who engage in trading related to virtual securities. The best altcoins list ends here. We will udpate this list based on new project, the problem it solves and the adoption rate. Subscribe to our email list to get the latest updates.